Our 10-part email course will go through the most important steps of the job hunting process. 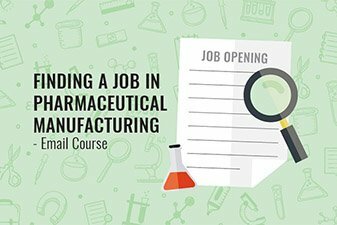 By the end of it, you’ll have a solid grounding in what you need to do to successfully secure a job in the pharma or medical device manufacturing industry. Is a Career in Pharmaceutical or Medical Device Manufacturing right for me?